At this juncture, I do not think it is possible to overstate my love of middle grade books. I have read so many marvelous stories in the past few months that I am convinced that I a) have been missing out for a long time, and b) am going to find something wonderful just around the next corner. Of course, I know a couple of things about myself. I like clever books, clever people, clever in general. And I like an omniscient narrator for children’s books (when done well – see Narnia for example), as well as a historical setting. AND… I like a mystery with spunky characters, slightly improbable events, and a sense of humor. I probably don’t need to say it at this point, but The Incorrigible Children of Ashton Place: The Mysterious Howling by Maryrose Wood is an impeccable example of all of these. And so I loved it. The Mysterious Howling starts as many good adventures do: with a journey to a place and people unknown, but with hope that it will all turn out right. Penelope Lumley is a very young graduate of a school for governesses, sent to make her way in the world for the first time. What she doesn’t know is that she is walking into mystery and will be handed an impossible task. And then there are the children – the Incorrigibles. They are funny, wild, and kind at heart, as well as too clever by a half. As you can imagine, they get into all manner of trouble, and only Ms. Lumley’s resourcefulness keeps them from utter destruction. Well, mostly. Introduce a squirrel, and all is lost. This book resides somewhere in a land beyond endearing (is there a word for that place? maybe… idyllic?). It’s humorous, ridiculous, sweet, mysterious and altogether FUN. I couldn’t keep from smiling while reading, and I dare you to keep from smiling yourself. OH, and the illustrations! Jon Klassen, author of award-winning picture book I Want My Hat Back, did them. They (and the cover art) are utterly charming, and that is that. Recommended for: ages 8-12, plus all of their attendant adults (and especially those who are fond of reading aloud), fans of Lemony Snicket, The Mysterious Benedict Society and Mrs. Piggle-Wiggle, and anyone who likes books with a generous helping of humor and adventure on the side. Whenever I need some therapeutic television time and hockey isn’t on, my best bet is to put in a lineup of period film DVDs. Those that regularly make the cut? The Young Victoria, Pride & Prejudice, Persuasion, Mansfield Park and Gosford Park. Feel free to suggest others – I haven’t added to my collection in quite a while. The other day I needed some Austen-induced calm and went on a movie binge. And then I decided that a re-read of Mansfield Park was in order. A week of Austen immersion commenced! Mansfield Park: home of the Jane Austen characters with the highest morals and highest likelihood of producing genetically unstable children (cousins…kissing cousins). Too soon? Okay. But really. This book features one of Austen’s youngest protagonists. Also one of her most devout and timid and principled. Fanny Price is hard to love at times. It’s not necessarily because she’s a prig – it’s that she is judgmental and passive and more self-effacing than a regular, self-respecting member of the human race has any right to be. I’m being a little bit ridiculous, yes, and not taking into account the roles of women in the pre-Victorian era. Even so, it is hard for this modern woman to find her anything but watery. While not as emotionally satisfying as other Austen works, Mansfield Park IS a classic, and I always come away from re-reads enriched in some way. This time, I can say that I examined the structures of society as shown in the novel and was impressed by the sibling devotion between Fanny and her brother William. This is poignant on a personal level to me because I am quite close to my siblings, though I too communicate with them from long distance. I had forgotten the very existence of Fanny’s brother (horror!) – and their friendship is rather delightful. Recommended for: anyone already acquainted with (and a fan of) Austen’s other works, the curious classics reader, and those who, having seen the film version, wonder how the book stacks up in comparison. April is National Poetry Month. 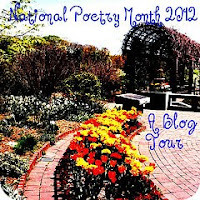 I am celebrating by hosting a guest stop on Serena’s 2012 National Poetry Month Blog Tour. Serena has been and will be posting poems, interviews with poets, guest posts from readers and other discussion topics throughout the month at Savvy Verse & Wit. The tour, meanwhile, is hosted at a different blog each day, with something poetry-related at each stop (schedule). My contribution is a review of Thanhha Lai’s Inside Out and Back Again. It won the National Book Award for Young People’s Literature (2011), and was a Newbery Honor book (2012), so I knew it would be very, very good. What I didn’t know at the outset was that it was written in free verse. But now the Vietnam War has reached her home. Hà and her family are forced to flee as Saigon falls, and they board a ship headed toward hope. In America, Hà discovers the foreign world of Alabama: the coldness of its strangers, the dullness of its food, the strange shape of its landscape…and the strength of her very own family. It comes down to truth. Hà is a fictional girl, yes, but her experience, her petty (and not so petty) cares, her worries and struggles are those of any person – not some hero with abilities far above our own. Her very human responses to the terrible circumstances of life, and then the hidden blessings, combine to make her relatable and dear. This is a book to make you weep with injustice, and then marvel at what may be overcome. Strictly on the poetry side of things, Inside Out and Back Again is a simple and quick read. The most complex part (for me) was puzzling out how things would sound in Vietnamese. I eventually resorted to an online translator for a couple of the names – words I was reading over and over. It is beautiful in its simplicity – never doubt that. Lai’s spare writing suits the story, as does the occasional wry and biting humor. Recommended for: those who enjoy outstanding middle grade fiction, and especially historical fiction, fans of free verse, and anyone who may appreciate a beautiful tale of strength in the midst of sorrow and change. In these days of vampires, werewolves and zombies, it is natural to wonder what life would be like if those creatures inhabited the real world (yes, I’m assuming they don’t already. feel free to prove me wrong). Even more exciting, what if there were a special school for all of the monstrous children? In fact, I don’t know if that’s exciting after all, or just plain scary. This is the premise of Derek the Ghost’s middle grade fantasy, Scary School. Derek the Ghost is not only the author of Scary School, he’s the narrator, as well. If it wasn’t obvious, he’s also a ghost. Why is he a ghost? Because he was once a student at Scary School, and… well… he met a fate that many students of that place do. Scary School is a stream-of-consciousness tale of life during one year at Scary School. It follows the many eccentric teachers and students, and chronicles their adventures, unique challenges, and brushes with death. That’s not to say that Scary School is serious – no! It is a light-hearted (and sometimes farcical) adventure. Scary School is a place filled with endless stories, strange rules, unimaginable creatures, and trials that take a special sort of thinking to conquer. What is required? A sense of humor, an appreciation for the ridiculous, and a strong streak of curiosity, mixed liberally with self-preservation. Two things helped Derek the Ghost’s Scary School stand out in a good way: 1) Inspired imagination and 2) Fantastic illustrations by Scott M. Fischer. Scary School is home to creatures of all sizes and many different origins. From dinosaurs to vampires to patchwork monsters, the horizon is full of interesting and freaky creatures. These are brought to life in the pages not only with words, but with masterful, whimsical artwork as well. These will keep any reader turning the pages! Two things that took away from the overall enjoyment of an inventive book? 1) Repetition of certain phrases (‘But more about that later’ being an egregious example) and 2) Lack of a clear central protagonist to cheer for. In all, Scary School is a silly, funny book with touches of the ridiculous, and should appeal to many, despite these faults. Want to learn more? Check out Derek the Ghost’s author guest post. Recommended for: readers at the younger end of the middle grade spectrum, those who enjoy a harebrained tale of monsters and beasties, and younglings with overactive imaginations. Fine print: I received an ebook of Scary School for honest review from the author. Thanks! Confession time: I’m not a brownie person. I know, I know. Now would be a good time to mention that I’m actually an alien, right? Ha. Anyway, my roommate IS a brownie person. As are most human beings. So when my good friend Liz sent over a Cooking Light brownie recipe, I thought to myself “Cecelia, you should really try to make the roommate happy. Yes. Brownies. That will do it!” Internal voice, were you ever right, or what?! I am a hero. A hero with a good brownie recipe. This one will stand the test of time. Lightly spoon flour into dry measuring cups; level with a knife. Combine flour and next 5 ingredients (through salt) in a large bowl. Combine 1/2 cup chocolate and milk in a microwave-safe bowl; microwave at HIGH 1 minute, stirring after 30 seconds. Stir in butter, vanilla, and eggs. Add milk mixture, 1/2 cup chocolate, and 1/4 cup nuts to flour mixture; stir to combine. Pour the batter into an 8- or 9-inch square metal baking pan coated with cooking spray; sprinkle with remaining 1/4 cup nuts. Bake at 350° for 35 minutes or until a wooden pick inserted in center comes out with moist crumbs clinging. Cool in pan on a wire rack. Cut into 20 pieces. Recommended for: the brownie-lover in your life, a simple dessert with maximum flavor, something to pair with your vanilla ice cream, and a rich treat for anytime. Middle grade sci-fi? Recommended by Sarah Prineas (author of the lovely Winterling)? I’m there. I happened to do a quick search of my local library catalog, and found an ebook copy. Done? Done. 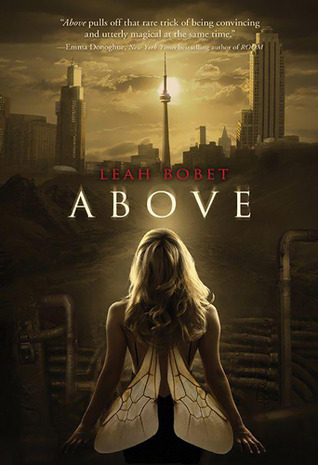 From reading the synopsis alone, I thought Jenn Reese’s Above World had the potential to be unique, thrilling, and fresh. I wasn’t far off the mark. Thirteen-year-old Aluna has lived her entire life under the ocean with the Coral Kampii in the City of Shifting Tides. But after centuries spent hidden from the Above World, her colony’s survival is in doubt. The Kampii’s breathing necklaces are failing, but the elders are unwilling to venture above water to seek answers. Only headstrong Aluna and her friend Hoku are stubborn and bold enough to face the terrors of land to search for way to save their people. 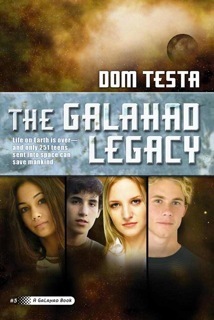 But can Aluna’s warrior spirit and Hoku’s tech-savvy keep them safe? Set in a world where overcrowding has led humans to adapt—growing tails to live under the ocean or wings to live on mountains—here is a ride through a future where greed and cruelty have gone unchecked, but the loyalty of friends remains true. A fairly constant theme in dystopian fiction (and most adventure lit, as well) is that of the young person who knows ‘best.’ What I mean is, the protagonists see the injustice in a system and are willing to put everything at stake to make it right – or at least, different. With dystopian lit, this is necessary because the government or society IS corrupt (and harmful). In Jenn Reese’s Above World, members of Aluna’s colony are dying, and no one seems to be doing anything concrete to solve the lethal problem. Aluna, incensed and horrified, is willing to risk her safety to find the answers, and her best friend Hoku comes along because, well, he’s her friend. What follows is a non-stop adventure through a world unimaginably altered by technology and human imagination. The narration in Above World was split between Aluna and Hoku, and sounded most accurate in Aluna’s ‘voice,’ partially because she possessed a forceful, assured point-of-view. However, at the end of the book Hoku’s perspective emerged more often. One of the weaknesses of an otherwise engaging story was his recurring fixation on kissing – it did not ring true in the midst of life-or-death situations. Also: Hoku is twelve. But in the grand scheme of things, that’s a minor quibble. One of the best things about the story was its focus on the friendships made and sustained in the course of crazy adventures. I had to include the bit of text (from page 56) below, because it made me laugh aloud, and it was just so typical! Above World is the first in a series, and I'm sure the adventures of Aluna and company will only get more interesting as the story progresses. It promises to be an exciting (and somewhat perilous) journey. Recommended for: fans of science fiction and fantasy (whatever their age), and those who know that friends are the best companions on an adventure – especially one to save the world. I rather impetuously decided to ‘do’ Bloggiesta this weekend. I put up an ambitious (for me!) To Do List. Unsurprisingly, I did not complete everything I set out to do. But! I am happy with the changes, challenges and tasks I was able to complete. And in the time I wasn’t ensnared in the world of blog beautification, I managed to go to a Capitals practice, brunch afterwards, and to have three girlfriends over for pizza, game and movie last night. And tonight I’ll go off to my weekly ball hockey game. In all? A very satisfying weekend. Yes, but what did I DO for Bloggiesta? This was fun! It was definitely made better by the social interaction. I’ll participate again in the future, for sure. If you took part in Bloggiesta, what was your biggest take away?